I had my MISTI out over the weekend, creating backgrounds I need for a few personal cards. This one is going into the gallery pile. This is one of my new ink pads – Lawn Fawn’s Merman. I really like how it performed – great coverage. Supplies: Stamps – Hero Arts, Papertrey Ink, paper – Curious Metallics Gold Leaf, Neenah Classic Crest Solar White, Stampin’ Up! Pool Party, inks – Lawn Fawn Merman, VersaMark, die – Spellbinders, embossing powder – Stampendous Detail Gold. 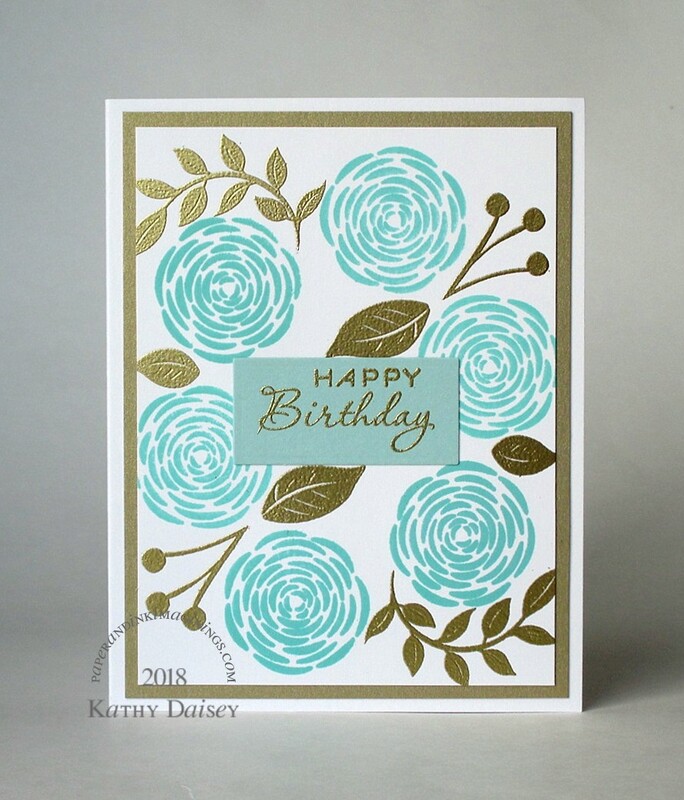 Categories: birthday, card | Tags: card, Curious Metallic, Hero Arts, Lawn Fawn, Neenah, Papertrey Ink, Spellbinders, Stampendous, Stampin' Up!, Tsukineko, VersaMark | Permalink. Ooooh I love that color combo! Beautiful card!